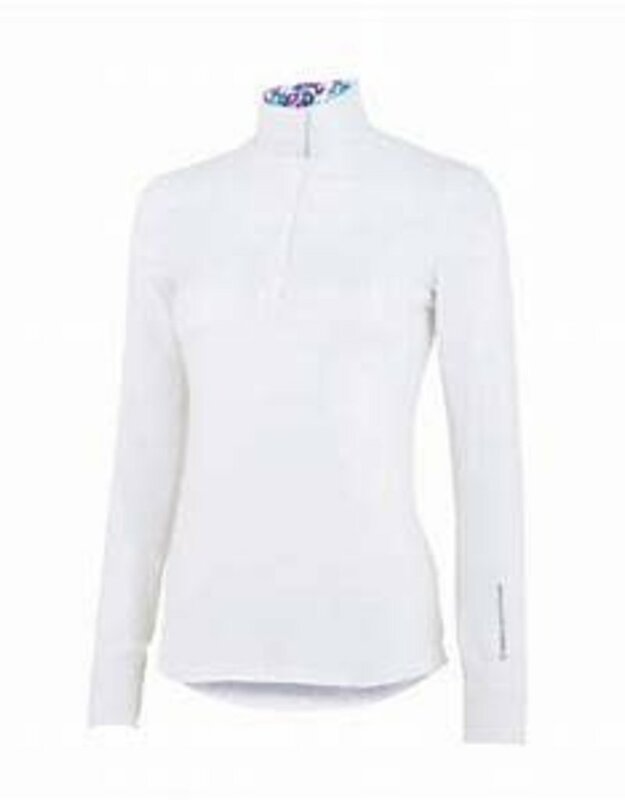 Versatile and comfortable, the Horze Allison Women's Functional Show Shirt is an excellent choice for any competitive equestrian! This technical shirt features the moisture wicking and quick drying fabric you appreciate for those hot summer shows. Breathable and lightweight, this shirt also has underarm mesh for increased ventilation as well as added elastane for comfortable stretch. Beaded detailing along the front provides a bit of flair while maintaining a stylish look. 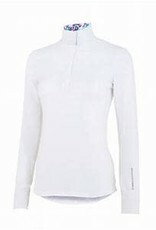 Finished with a snap button show collar that can be worn open or closed for schooling or showing, this shirt is the perfect addition to any equestrian's wardrobe.